Nano ePrint in Manchester has secured a grant for Research and Development from the UK's Northwest Regional Development Agency (NWDA) for a £390k project to demonstrate the world's first printed programmable logic device. This will be based on developments led by Ian Barton, previously Managing Director of Silistix, who joined Nano ePrint as Vice President of Engineering in May. Ian brings significant experience in the management of integrated circuit design and is leading Nano ePrint's engineering team in the design and production of printed programmable logic devices. Silistix, another spinout of the University of Manchester, develops network on chip technology. Nano ePrint was formed in 2006 following pioneering research at the University of Manchester in the UK that allows planar nanoelectronic circuits to be built in a single layer of semiconductor via single-step patterning. 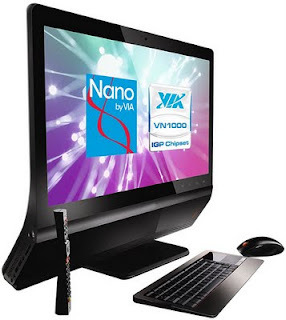 Nano ePrint’s devices achieve very high speeds while dramatically reducing circuit size and simplifying manufacture. 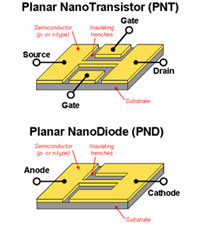 Nano ePrint has also developed a configurable circuit architecture to deliver the world’s first printed programmable logic circuits, allowing one design to simultaneously address multiple applications, opening up prospects in low-cost, high-performance printed electronics across a wide range of markets. OKI Digital Imaging has developed a 1.1 inch QVGA LED display while reducing power consumption to one-tenth that of conventional LCDs. This is the direct result of development in its LED print head technology that enhances luminance efficiency using an extension of its proprietary Epi Film Bonding technology into a two-dimensional array. This array has the world’s first 65-micrometer pitch between LED chips to give a high definition image and, as it is self-illuminating, the new display has a faster response, smaller size and lower power than LCD displays that require a separate light source. It also features high contrast (over 5000:1) for high visibility even in bright daylight. OKI Digital Imaging will manufacture the LED display at the LED manufacturing facility in Gunma prefecture, Japan, that it acquired from Reneasas back in July. Shipments of samples are expected to begin by the end of fiscal year 2010. Design tool vendor Altium is targetting illegal use of its software specifically in Poland, offering an amnesty for just one month for existing users. “Piracy of Altium software, both of Altium Designer and older Protel software, is a known problem throughout Poland. With this programme, Altium helps illegal Protel users continue with their favourite EDA tool for another half a year without having to fear legal consequences,” said Jean-Paul Seuren, Licence Compliance Manager EMEA, Altium Europe. Under the new scheme, companies doing electronics design can legalize their illegal copies of Altium’s Protel and Altium Designer software by buying the latest version of Altium Designer at a price of €3,200 that includes half a year amnesty for each legalized seat. Earlier this year Altium lowered the pricing for Altium Designer to €3,200, a reduction of nearly 70% designed to make electronics design software affordable to every electronics designer. This highlights the key reason why designers were using the tools illegally. The amnesty programme extends that new pricing by adding the support Polish users need to become up-to-date in both compliance and their software. During this amnesty period, designers can retain their illegal Protel seats to migrate their legacy data to Altium Designer. Altium will also provide free software assurance and support, webinars as well as special migration training. Users will receive an official certificate that enables them to use one unlicensed Protel seat legally for six months for each Altium Designer licence purchased. Altium’s Value Added Reseller Evatronix SA, based in Bielsko-Biala, will be the local point of contact in Poland to facilitate the software amnesty programme. Altium Designer is the successor of the well known and widely used Protel PCB design tool but takes a very new and different approach to electronics design. In a single solution, using a single data model, it lets designers create products in all three design domains: PCB layout, programmable hardware (using FPGAs) and software. I can't resist robots, it's just the kid in me! The Annual Robocon Competition took place in Yokohama, Tokyo on November 18. 40 teams from all over the world were competing in various disciplines, including the LEGO MINDSTORMS, in which the Royal Danish Embassy in Tokyo sponsored one of the 'Innovation Prize' awards. 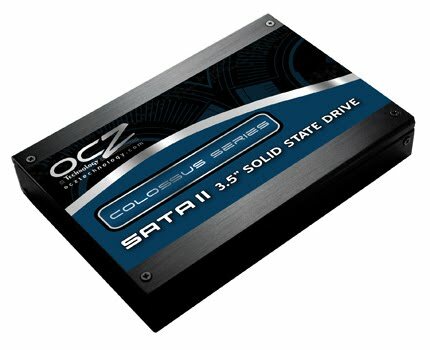 New names in the industry are emerging with USB3.0 coming through (despite the problems at Intel) with OCZ Technology of San Jose teaming up with Symwave to show an external high speed solid state disk (SSD) drive. Interestingly, Symwave has seen an investment by networking leader SMSC alongside venture capital firms including Kodiak Venture Partners and CMEA Ventures. OCZ has just launched the Colossus 3.5” Solid State Drive (SSD) Series, designed to meet the performance and storage demands of high-end desktop users and enterprise clients. Available in up to one terabyte with RAID0 configurations, the Colossus Series marks a milestone in solid state drive technology, making it possible to have both high performance and high capacity in one solution. The Colossus SSD is available in 128GB, 256GB, 512GB, and 1TB with 1.5 million hour mean time between failures (MTBF). Kontron has launched its first in-vehicle PC with extended support, based on the Intel Atom Z530 processor and Intel System Controller Hub US15W, with a flexible PC/104 socket for ultra flat and space-saving PC/104 expansion cards. Further options for customization include 2 PCIe Mini Card Slots for custom specific options such as GPS, GSM/UMTS, and WLAN. 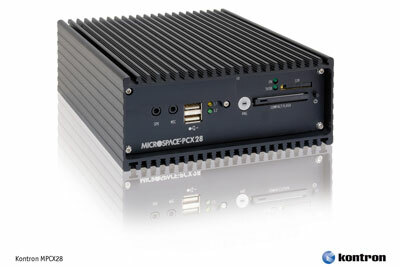 Its fanless design, easy expandability and high flexibility make the precision Swiss-engineered Kontron Microspace MPCX28 Box PC a perfect fit for various applications in busses, cars, trucks, and (automated) heavy-duty vehicles used in intralogistics. In cabs and busses it can be used for passenger infotainment, video surveillance, or ticketing systems. Typical truck applications include CAN-based trailer and goods management, GPS navigation combined with communication via GSM, and UMTS/GPRS for fleet management. For vehicles used in intralogistics, the applications range from the control of automated vehicles, to logistics for forklift trucks with WLAN and barcode/RFID interfaces. Designed to work in the extended temperature range -25 to 70°C, the passively cooled in-vehicle Kontron Box PC is based on the Intel Atom Z530 1.6 GHz processor with 533 MHz FSB and supports up to 1 GB DDR2 RAM. The embedded graphics feature 256MB of memory DirectX 9 3-D and HDTV support with MPEG2 and H.264 decoders to process compressed HD videos to offload CPU usage. To accommodate storage devices, it provides front side slots for a 2.5" SATA HDD or SDD and Compact Flash media. Thanks to the externally-accessible slots, the change of storage media is quick and simple without the use of tools. This makes it particularly easy to swap out the hard drive within seconds to provide new content for, e.g., infotainment applications. The internal PCI/104 and 2x PCIe MiniCard expansion slots allow for various application-specific extensions, such as Dual-CAN, GPS, GSM/UMTS, and WLAN. The Microspace MPCX28 also features a comprehensive set of interfaces to fulfill the demands of nearly all in-vehicle applications. On the front, two USB 2.0 interfaces and 3.5 mm jacks for stereo output and input are accompanied by a SIM slot for mobile communications. On the back, the new in-vehicle PC offers 2 x Gigabit Ethernet, 2 additional USB 2.0 ports, as well as an SATA port to connect additional storage devices. The DVI-I interface transmits analog or digital video signals to external monitors with a resolution of up to 2,048 x 1536. Two DSUB connectors for COM ports (RS232) and a parallel interface for digital I/O, which provide CAN-bus connectivity via an optional PCI/104 expansion card, round off the feature set. With a wide-range power supply (8 to 58 VDC), the PC can be directly connected to the vehicle's power supply without additional converters. A plug-in power supply for 110/220 VAC is also available. The system supports remote power on/off and can accommodate customer-specific functions such as wake on ring, event wake up or a wake on LAN. It is scheduled to be available (with CE and E1 certification) in Q1, 2010 and supports Windows XPe/XP/Vista/7, and Linux. The UK's Electronics Leadership Council, distributor Premier Farnell and The UK Electronics Alliance are co-ordinating a survey to gain knowledge from technology-based SMEs on how to better advise government to direct the necessary support for greater economic growth. All UK based small and medium enterprise (SME) technology companies are encouraged to take part in a survey through to 9th December 2009 developed to garner appropriate support from the UK Government and trade associations to ensure the necessary future economic growth for these SMEs. The intent of the survey is to gain support to influence regulation and legislation that will encourage success for SMEs, ensuring their views are well understood by government as decisions are made. The findings will also be used to attract funding for business in the UK and develop targeted programmes that make a positive contribution. The ELC and UKEA have excellent lines of communication already established with government that will ensure the issues raised by the survey get directly to those most able to influence change. A second stage of focus group consultation is planned in early 2010 involving interested survey participants. It is hoped that as many SME’s as possible will complete the initial survey to ensure it will be truly representative of opinion and make a powerful contribution towards shaping the decision making processes of government. All participants in the survey will have the opportunity to receive a copy of the results once the survey is concluded. All trade associations that participate in the survey will also receive a final copy of the survey findings to distribute to their members. “In recent months we have met with a number of key government leaders and industry bodies, all of whom want to stimulate growth, innovation and enterprise in the UK. Our industry is critical to leading the market out of the downturn and affecting change on a global scale as the pervasion of technology continues in every aspect of our lives,” said Harriet Green, CEO of Premier Farnell. ST Microelectronics has teamed up with Omron to drive the cost of micromachined, highly integrated silicon MEMS microphones. The deal will see the devices falling to under $1, says ST, using Omron's sensor technology. ST is already the leading supplier of MEMS for consumer and portable applications and the third largest MEMS manufacturer overall. , but will use Omron's MEMS sensor technology. The key is that ST is the only manufacturer that can mount and package multiple MEMS microphone devices at a time, facilitating high-volume production, using a proven packaging technology very similar to that used for motion sensors. MEMS microphones can be made smaller than the most compact microphones and are less susceptible to mechanical vibration, temperature variations and electromagnetic interference, which is important in cell phones and other devices with an audio input, such as notebook computers, video recorders, digital cameras, as well as hearing aids or electronic stethoscopes. Samples of digital MEMS microphones that integrate ST’s electronic control circuit and OMRON’s micro-machined sensor in a single package will be available before the end of this year, at less than one dollar for large-volume orders. According to iSuppli’s research dated September 2009, the market for micro-machined acoustic devices for consumer electronics and mobile handsets is forecast to grow at a revenue CAGR of 18% between 2008 and 2013, when it will exceed one billion parts per year. MEMS microphone startup Akustica was acquired earlier this year by Robert Bosch, while another MEMS startup, Oligon, was bought by Wolfson Microelectronics to develop a range of highly integrated microphones. 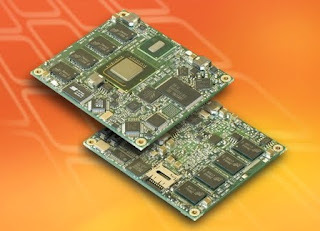 Design tool vendor Altium has added an instant deployment option to its FPGA development board. Designers can now take their FPGA-based designs from concept right through to deployment without the need to create a custom PCB by clipping the NanoBoard 3000 into a new range of enclosures designed in-house by Altium. The modular enclosures let designers deploy FPGA–based designs created and hosted on the NanoBoard 3000 in a number of different ways: on desks, on walls, in either commercial or industrial locations, in extended options for multiple board designs, with or without the TFT display that comes with the enclosures. Instantly deploying the NanoBoard 3000 in the new modular enclosures gives designers the option of creating small production runs in commercially attractive cases, again without being compelled to manufacture custom enclosures or custom PCBs. Altium’s NanoBoard 3000 is a programmable design environment supplied complete with hardware, software, ready-to-use, royalty-free IP and a dedicated Altium Designer Soft Design license. This is a complete design environment that lets electronics designers construct sophisticated ‘soft’ processor-based systems inside FPGAs without any prior FPGA expertise, specialist VHDL or Verilog skills. Designers simply use their existing board layout and systems design skills to construct, test and implement FPGA-based embedded systems. The supplied Altium Designer license lets them select, drag and drop the large range of IP blocks to add processors, memory controllers, peripherals and software stacks. Unlike alternative programmable design environments, designers no longer need to search the web for drivers, peripherals or other software, and then have the hard work of integrating all these elements to make them work together. The new NanoBoard 3000 enclosures mean that designers can now start with a purely 'soft' prototype on the NanoBoard and then deploy it into the field. But Altium Designer’s unified architecture also gives them the option of upgrading to a board-level Altium Designer license and moving into custom PCB design. Their 'soft' design work completed on the NanoBoard 3000 is simply ready to be used on their custom PCB. Weeks are saved on getting high-quality proof-of-concept prototypes designed without any custom PCB design work required at all. Newcomers to FPGA design have a low-risk, low-cost design environment that has everything they need to get started. Experienced FPGA designers can use their expertise in new ways to focus on creating the intelligence of their products. Altium’s first NanoBoard 3000 features a Xilinx Spartan 3AN FPGA. Two more NanoBoards, featuring Altera and Lattice FPGAs, are in manufacture and design. The new deployment enclosures at Euro99 will accommodate all these NanoBoard options. The NanoBoard 3000 is available for a recommended retail price of $295 and includes a 12-month subscription to the Altium Designer Soft Design License. 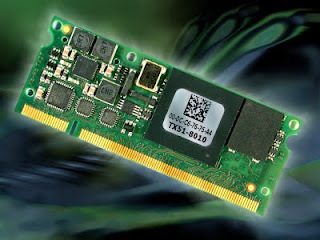 Shipments of the next generation high speed, low power DDDR3 memory will rise to account for more than half of the global DRAM market by the second quarter of 2010, surpassing DDR2 for the first time as the leading technology for PC main memory says market researcher iSuppli. DDR3’s share of the DRAM market in terms of gigabit-equivalent shipments will rise to 50.9 percent in the second quarter of 2010, up from just 1 percent in the second quarter of 2008 and 14.2 percent in the second quarter of 2009. By the end of 2010, DDR3 will grow to account for 71 percent of shipments. Two major factors are driving the industry’s transition to DDR3: new Intel Corp. microprocessors and the increasing manufacturability of the part. Intel’s latest-generation microprocessor microarchitecture, dubbed Nehalem, employs a memory controller that supports only DDR3, unlike the previous Penryn line, which works with both DDR2 and DDR3. With Intel transitioning its microprocessor line to Nehalem-based chips, PC makers will have no choice but to migrate to DDR3 SDRAM. On the supply side, production of DDR3 has advanced to the point were memory makers can produce it at a competitive cost using leading-edge semiconductor process technology. Because of this, all major DRAM suppliers now are producing DDR3, making the memory more attractive to PC makers who are loathe to be beholden to a single source. As availability has increased and prices for DDR3 have fallen, the cost of DDR2 to PC makers actually has risen in recent months because of supply constraints. And despite the rapid rise of DDR3, DDR2 is expected to command significant volumes throughout 2010, accounting for 15.4 percent of gigabit-equivalent shipments the fourth quarter. For more information on this topic, see iSuppli’s new report: DDR2 to DDR3 – The Anatomy of a Technology Transition. 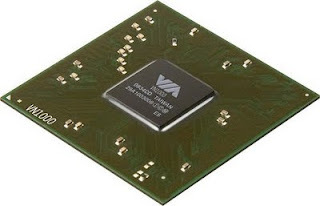 Anders Electronics in London has developed a module that uses Intel's Atom processor with two Gigabit Ethernet connections for faster connectivity. Measuring just 65x75mm, the new CM-iAM SoM (system-on-module) packs more features than any other Atom Z530 SoM - notably up to 2GB RAM, 4GB on-board Flash Disk, SATA interface, dual GbE, and up to 3 PCIe lanes. 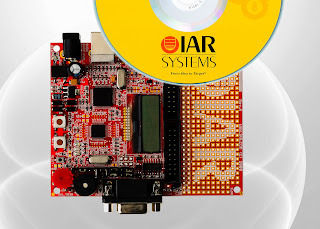 Used as a building block for any embedded application, the CM-iAM packs up-to-date technologies into the most compact, lightweight PC-on-module available in the market. With on-board resources that smoothly run Linux, Windows XP or Windows 7, the CM-iAM’s standard X86 architecture runs most software applications written for PCs. And, the CM-iAM’s credit-card sized board boasts a low power consumption of 4-6W, making it ideal for battery and “always on” applications. The basic feature set of the CM-iAM includes a 32-bit X86-compatible Atom Z530 CPU (up to 1.6GHz), up to 2GB RAM, 4GB on-board Flash Disk, SATA interface, and a Micro-SD slot. The CM-iAM also offers multiple display interfaces (RGB, LVDS and SDVO), with resolutions of up to 1920x1200 – enabling it to run high the definition graphics needed for such applications as digital signage. 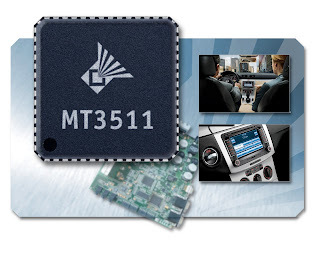 For embedded applications, the CM-iAM provides a variety of display interfaces, up to 3 PCIe lanes, dual GbE ports, an RS232 serial port, up to 15 GPIO lines and many other essential functions. The user interface is supported by an enhanced graphics controller, 6 USB 2.0 ports, and 5.1 channels audio codec (analog+S/PDIF or HDA output). To enable quick evaluation of the CM-iAM in the full range of usage scenarios, the SoM ships with an advanced evaluation base-board, the SB-iAM. This evaluation kit features a wide range of extension and I/O interfaces – most notably PCI and PCIe slots, RGB, LVDS, DVI and CRT display, and digital, analog and optical audio. “Anders has always attempted to keep our clients on the cutting edge of technology,” said Rob Anders, CEO of Anders Electronics. “The CM-iAM is a true first – the smallest and most cost-effective SoM on the market, that doesn’t compromise on processing power or featureset." National Instruments is extending its hardware-in-the-loop (HIL) simulation platform, which includes a range of products that optimise embedded system validation. During the past six months, NI has released nearly 40 new products targeted at delivering flexible HIL solutions to embedded control system developers within a variety of industries. The portfolio of NI HIL simulation tools helps engineers maintain reliability and time-to-market requirements while reducing costs, even as their products become more complex. Recent product releases include NI VeriStand software for real-time testing and simulation; the NI TestStand 4.2 automated test management environment including support for Python scripts; a new family of fault insertion units; NI-XNET high-performance CAN and FlexRay bus interfaces optimised for HIL applications; ARINC 429, MIL-STD-1553 and AFDX (ARINC 663) military and aerospace avionics bus interfaces; low-cost and high-performance real-time processor cards; and several other I/O interfaces. To ensure that applications can easily scale and meet evolving requirements, the NI HIL simulation platform supports third-party hardware interfaces and integrates with C, C++, .NET and Python programming languages. 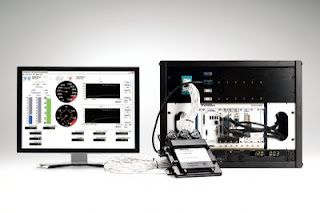 In addition to integrating seamlessly with the NI LabVIEW graphical system design environment, the platform works with a variety of modeling environments such as Simulink software; ITI SimulationX; Maplesoft MapleSim; and Gamma Technologies GT-POWER. Engineers can increase their system performance and flexibility while reducing overall costs by taking advantage of the open PXI hardware standard, advanced multicore technology and graphically programmed FPGA interfaces. Additionally, the platform’s software-defined instrumentation approach makes it possible for HIL applications created with NI products to scale from low-cost desktop validation systems to multiprocessor distributed simulators, a benefit that provides engineers a flexible and cost-effective toolset for all HIL testing applications. 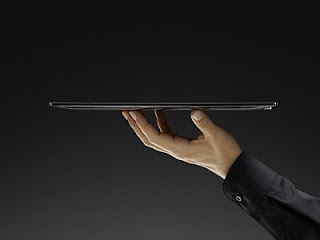 The platform delivers commercial off-the-shelf (COTS) solutions that offer alternatives to complex proprietary configurations and bulky, inefficient traditional simulation systems. In today’s challenging economic climate, NI HIL simulation products are ideal for making projects more efficient and cost-effective for design engineers in multiple industries, from aerospace, alternative energy, automotive and consumer electronics to government, industrial transportation, mechatronics, medical technology and semiconductor manufacturing.